Objective: After analyzing POINT OF VIEW in popular corridos students will be able to identify central argument and purpose of archetype by completing analytical summaries, SOAPS Analysis, and writing their own corrido based on important post-Mexican American war figure. Objective: After completing a web search on Americo Paredes, students will be able to write a background paragraph that describes the author’s background and influences. Objective: After close reading of “El Corrido de Gregorio Cortez” students will be able to write an analytical summary that identifies the point of view and argument of the counternarrative. Objective: After close reading an excerpt of Ralph Waldo Emerson’s essay’s Nature, students will be able to identify how the author uses imagery to convey his ideas about NATURE and SOCIETY by completing SAYS MEANS MATTERS TEMPLATE. Objective: After close reading William Cullen Bryant’s poem “Thanatopsis” and excerpts of Ralph Waldo Emerson’s essays “Nature” and “Self Reliance”, students will be able to identify MASTERY LEVEL OF THEIR ABILITY TO ANALYZE how the author uses imagery to convey his ideas about NATURE and SOCIETY by completing Romanticism Progress Check 1.0. Objective: After close reading an excerpt of Henry David Thoreau’s essay “Walden”, students will be able to identify how the author uses METAPHORS to convey his ideas about NATURE and SOCIETY by completing SAYS MEANS MATTERS TEMPLATE. Objective: After viewing a background video on Ralph Waldo Emerson, and participating in Graffitti Wall Discussion, students will be able to write a paragraph that describes the background and influence of Transcendentalism. Objective: After close reading an excerpt of Ralph Waldo Emerson’s essay’s Nature, students will be able to identify how the author uses imagery to convey his ideas about NATURE and SOCIETY. Objective: After close reading an excerpt of Ralph Waldo Emerson’s essay’s Nature, students will be able to identify how the author uses imagery to convey his ideas about NATURE and SOCIETY by completing SAYS MEANS MATTERS TEMPLATE and SUMMARY. Objective: After close reading an excerpt of Ralph Waldo Emerson’s essay’s Nature, students will be able to identify MASTERY LEVEL OF THEIR ABILITY TO ANALYZE how the author uses imagery to convey his ideas about NATURE and SOCIETY by completing Romanticism Progress Check 1.0. Interested in being a 2015 Student Leader®? 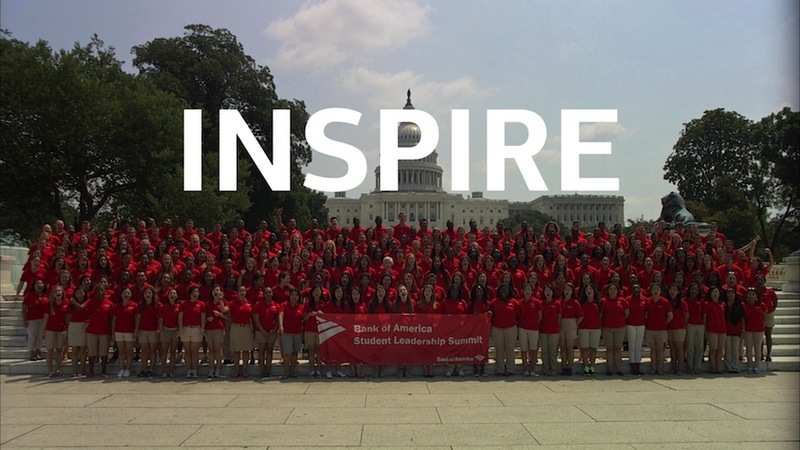 Thank you for your interest in becoming a 2015 Student Leader®. The application period for 2015 will be open November 1st – January 31st. Eligibility Criteria: Student Leaders is an eight-week summer experience for high school juniors and seniors. Student Leaders includes a paid internship with a local nonprofit organization as well as the Student Leaders Summit in Washington, D.C. Student Leaders gives young leaders the opportunity to develop and apply leadership skills through hands-on community work experience while discovering their own talents for serving their community and leading others.